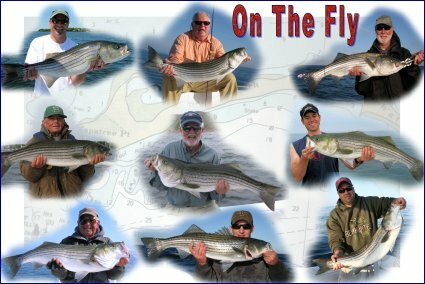 Experience the thrill of saltwater fly fishing and light tackle angling on the fertile waters of Narragansett Bay, Block Island, and Rhode Island Sound with your host and guide, Captain Ray Stachelek. Catching schoolies are easy. Landing a trophy on a fly; that's a total different story. Your expectation can come true. At Cast a Fly, it's always about performance. site design and scripting by Al DeLuca. © 2000 - 2001 All rights reserved.